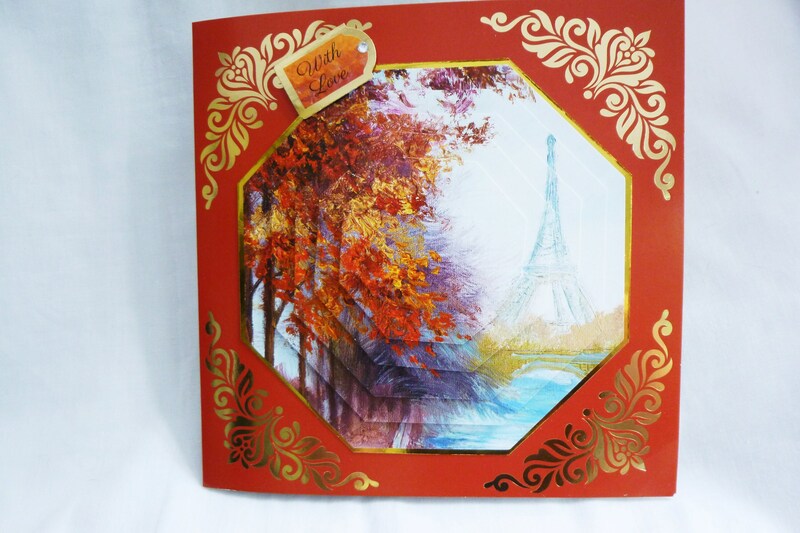 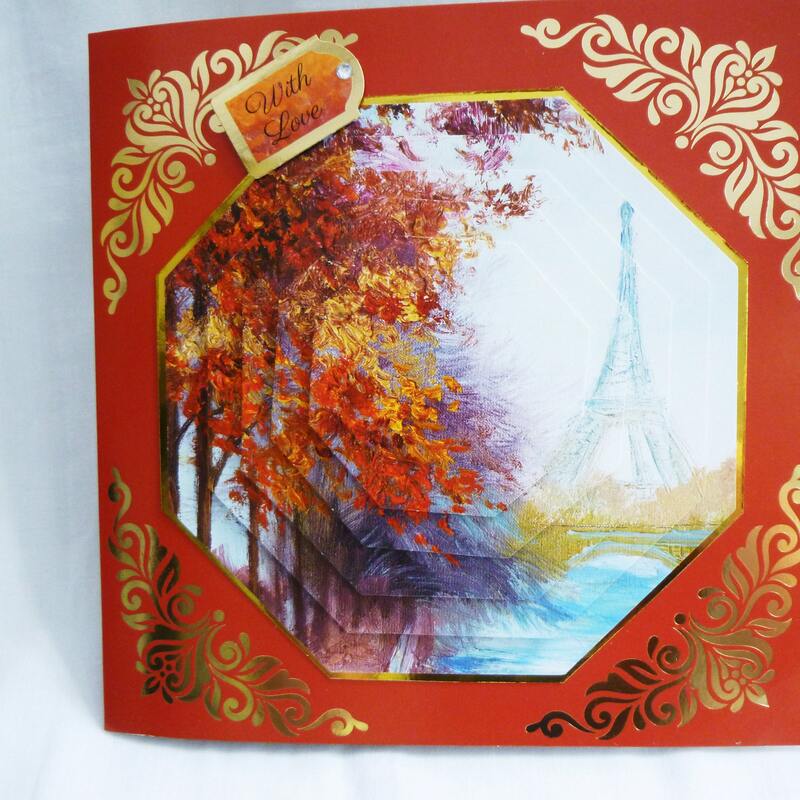 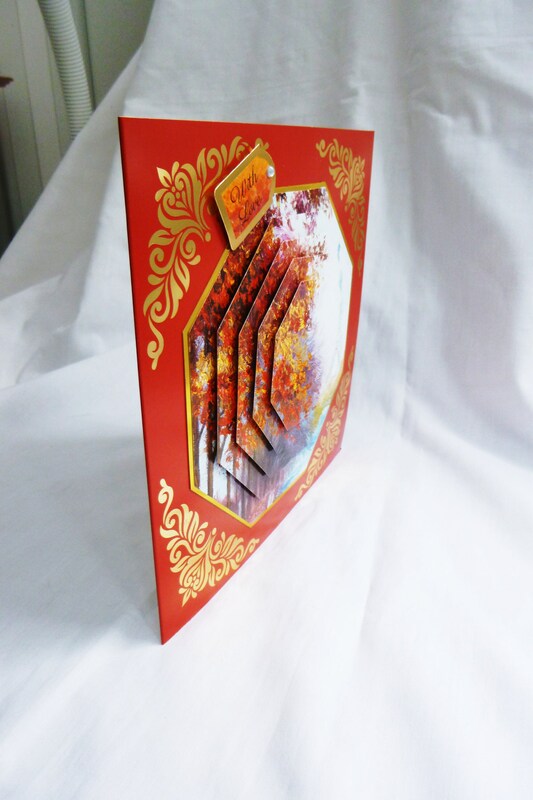 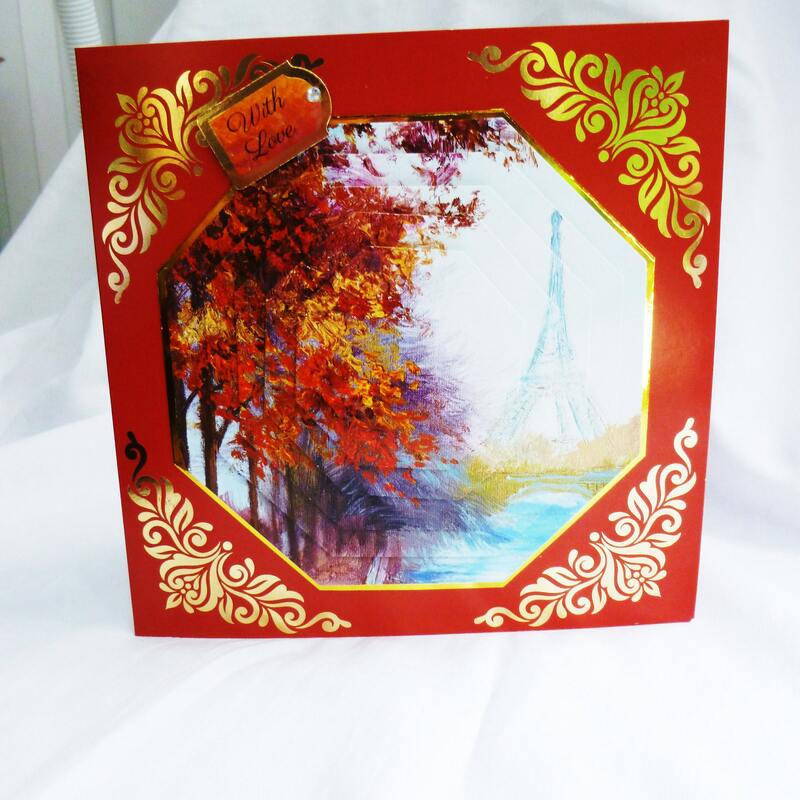 A lovely card, with bright autumn colours of copper and gold 3D pyramid decoupage with the Eiffel Tower in the background, a sentiment in the top left of the card which says,'With Love'. 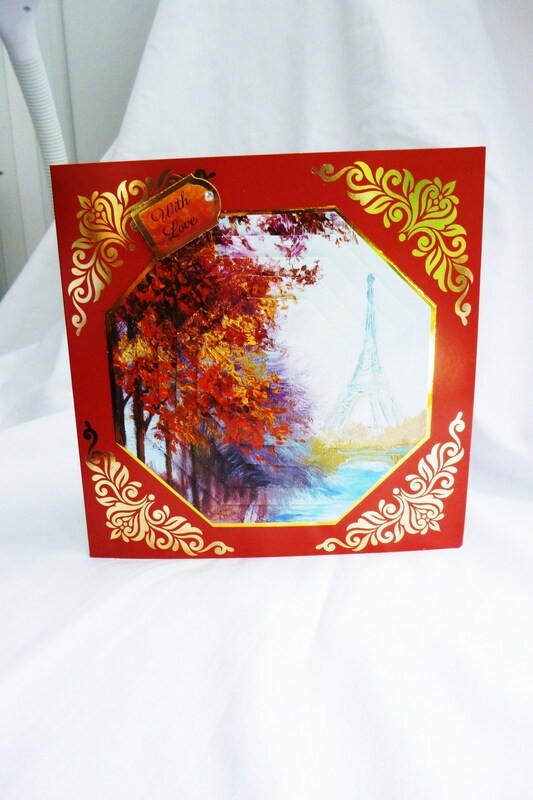 With a small crystal embellishment on the sentiment. 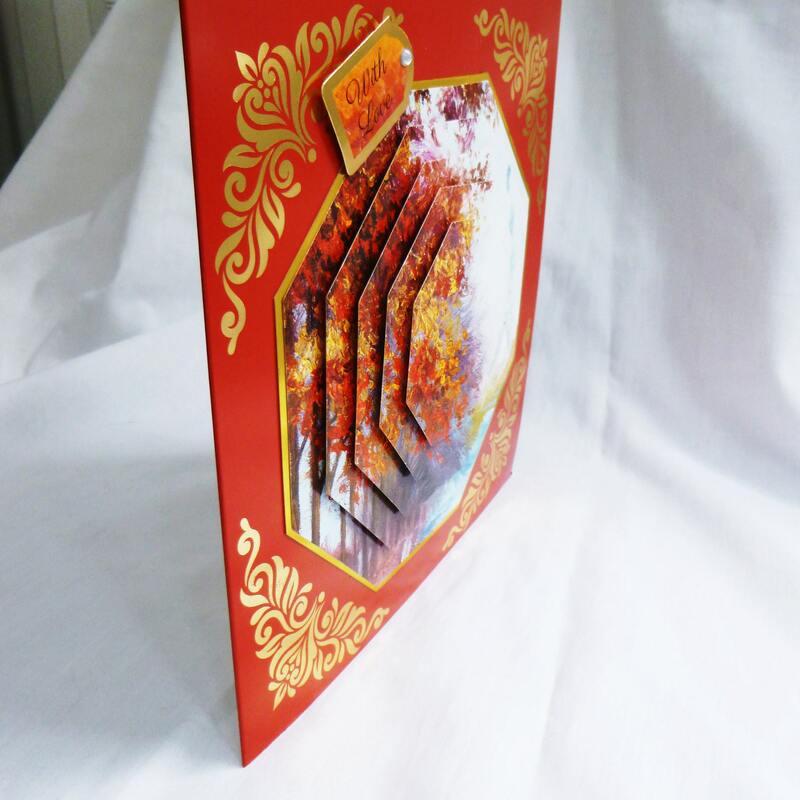 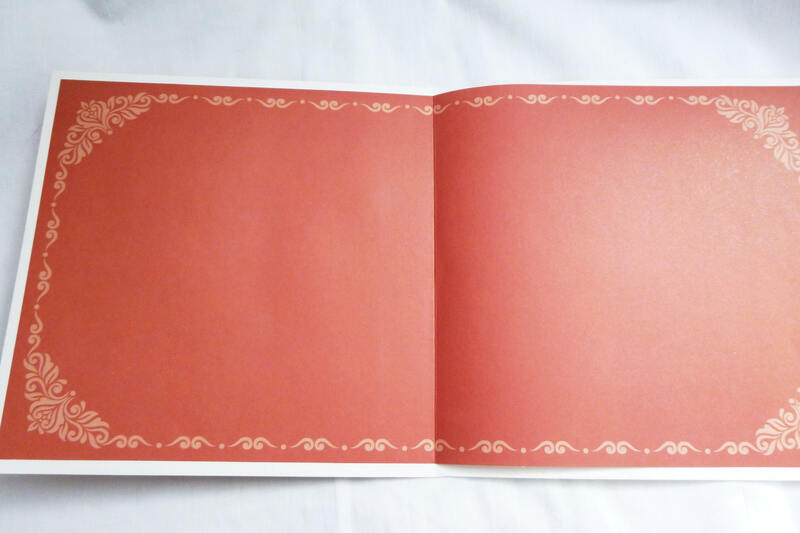 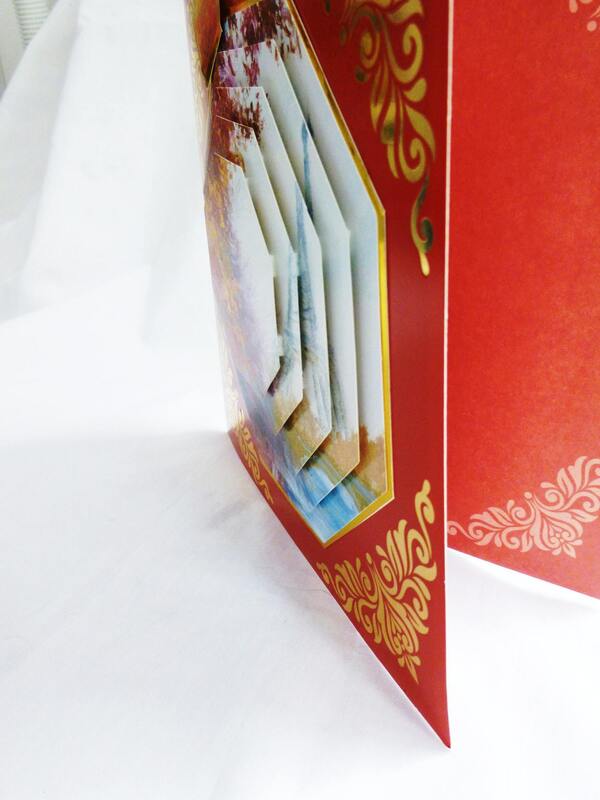 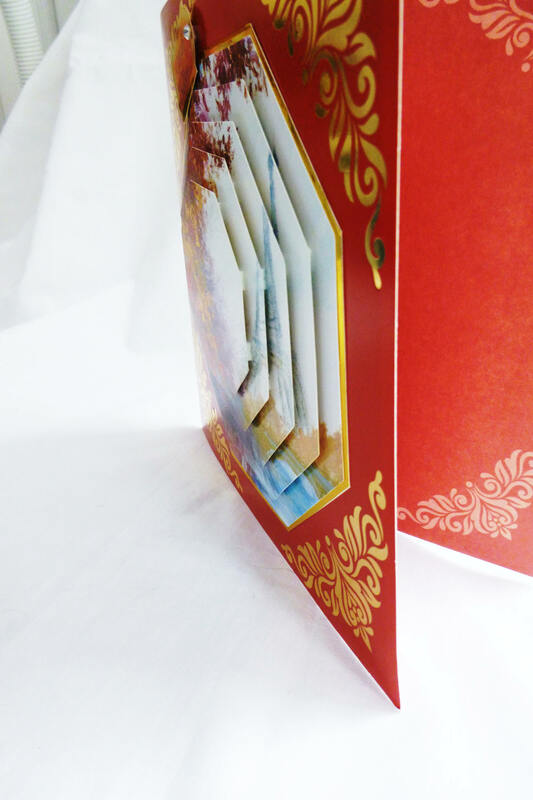 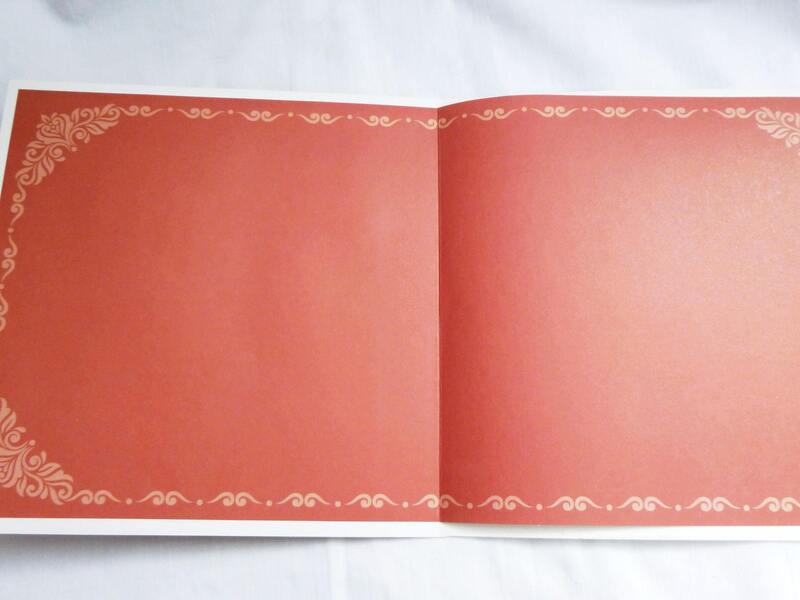 Inside the card is matching insert paper left blank for you to write your own personal message.